It was more than a year ago that I decided I wanted to create an online workshop on how to cut and sew sweater knits. Several people had asked me over the years whether or not I had any classes online or any DVD's. Other people (who happened to be Etsy teachers) had suggested I contact Etsy. But I decided that for my first venture into teaching on camera I wanted to produce the workshop independently. As with designing, knitting, and sewing, I think I became very interested in the process. Just as I don't make all my own clothes, I don't think I'll always go the indie route, but there'll be more videos in the future. And this was indeed a very interesting process. I already had a bunch of experience in front of the camera (from my old showbiz days) and a little experience behind the camera (if we count my old days in animation). And so with a minuscule production team and a small pilot group of sewists, we created How to Cut and Sew a Sweater. 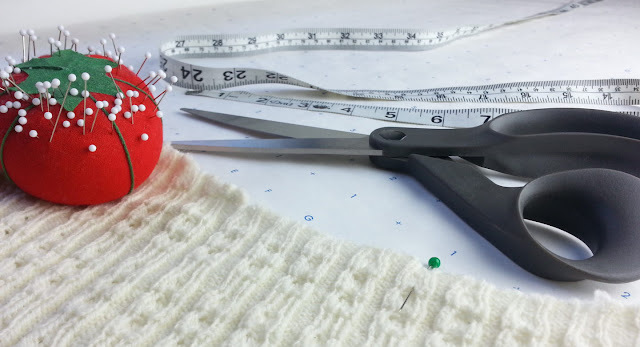 My goal with this course is to cover those pesky little and big things that can seem unpredictable and unmanageable when working with sweater knits: How do I keep my neckband from being floppy? How can I prevent my seams from rippling? Why does this hem flare out? How do I get my sweater to fit? 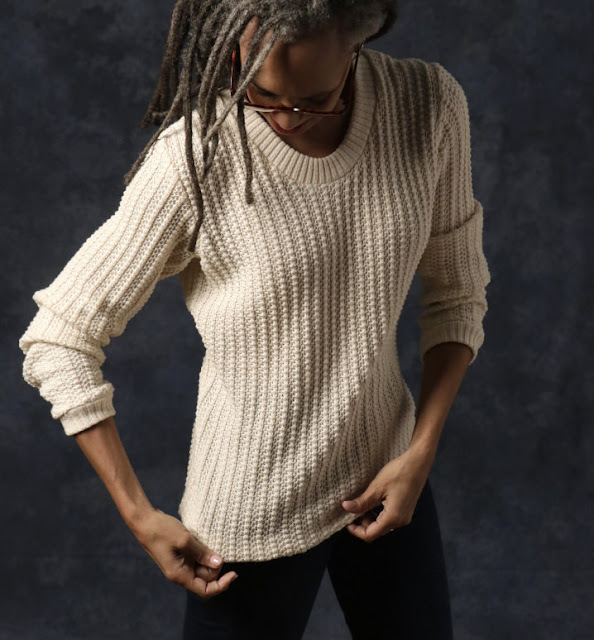 I worked to answer all those questions and more and to present the preparation, fitting, and construction of a pullover sweater in a systematic way. Registration is open now through May 5, 11:59 PM ET. Please join the workshop email list to get up-to-date registration information.